The world premiere of a brand new musical that will simply sweep you off your feet! 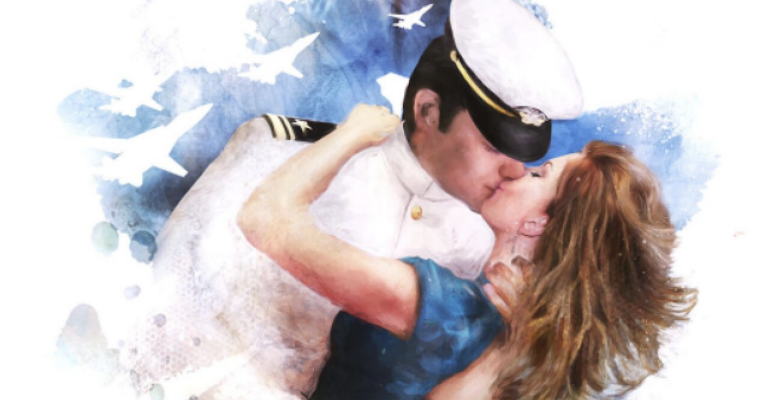 Based on true events, An Officer and a Gentleman The Musical follows the Oscar-winning film starring Richard Gere. Its feel-good soundtrack includes the hit song from the movie ‘Up Where We Belong’ along with many 80s classic anthems including ‘Girls Just Want to Have Fun’, ‘Livin’ On A Prayer’, ‘Heart of Glass’, ‘Material Girl’, ‘Don’t Cry Out Loud’, ‘I Was Made for Lovin’ You’, and ‘The Final Countdown’. Zack Mayo is in training to become a US Navy Pilot. When he rolls into boot camp with a bit too much of a swagger, drill Sergeant Foley doesn’t make life easy for him. When he falls for local girl Paula Pokrifki and tragedy befalls his friend and fellow candidate, Zack realises the importance of love and friendship and finds the courage to be himself and win the heart of the woman he loves. It’s only then he can truly become an Officer and a Gentleman. With direction by Nikolai Foster (Artistic Director Curve, Annie, Calamity Jane), choreography by Kate Prince (Into The Hoods, ZooNation) and musical supervision by Tony Award-winning Sarah Travis (Sweeney Todd, Sister Act), this inspiring, breathtakingly romantic musical celebrates triumph over adversity and features one of the most iconic romantic scenes ever portrayed on screen. Let Love Lift You Up where you belong! Cast includes West End favourites Jonny Fines (Annie), Ray Shell (Starlight Express), and Olivier Award nominee Emma Williams (Half A Sixpence). This show is a musical show with a live orchestra. It will feature iconic hits from the 80s.